The first Russian trolleybus, known as the “Freze trolleycar,” saw the light of day in 1902. 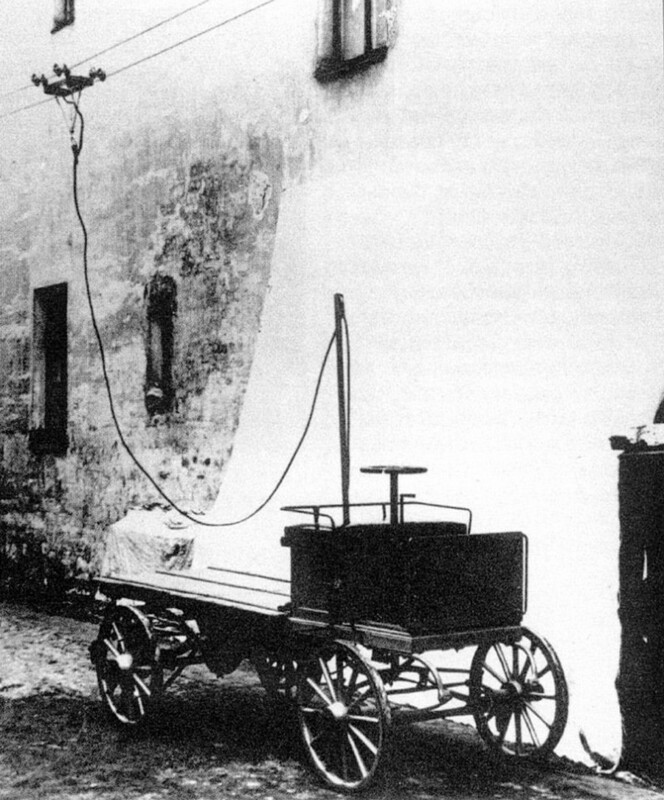 It was designed by Pyotr Freze, inventor of the first Russian car. 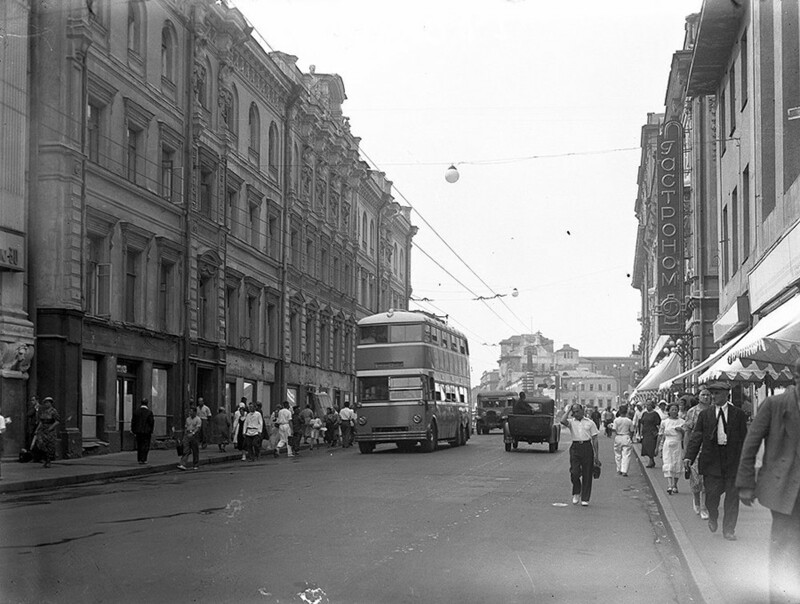 The first Soviet trolleybus LK-1 appeared on Moscow’s streets on November 15, 1933. LK trolleybuses operated just several years before being replaced in 1936 by more advanced YaTB models. 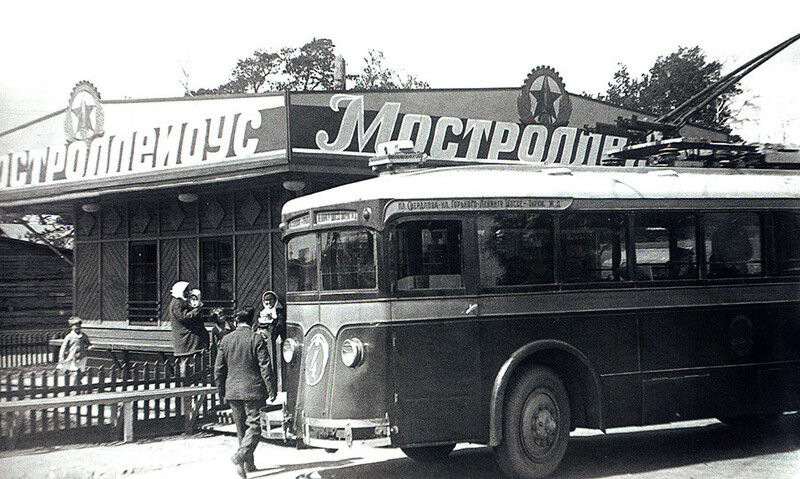 In the 1930s double-decker trolleybuses appeared in European cities, and the Soviet Union was no exception. The YaTB-3, designed by the Yaroslavl Motor Plant, appeared on Moscow’s streets in 1938 and operated until the mid-1950s. 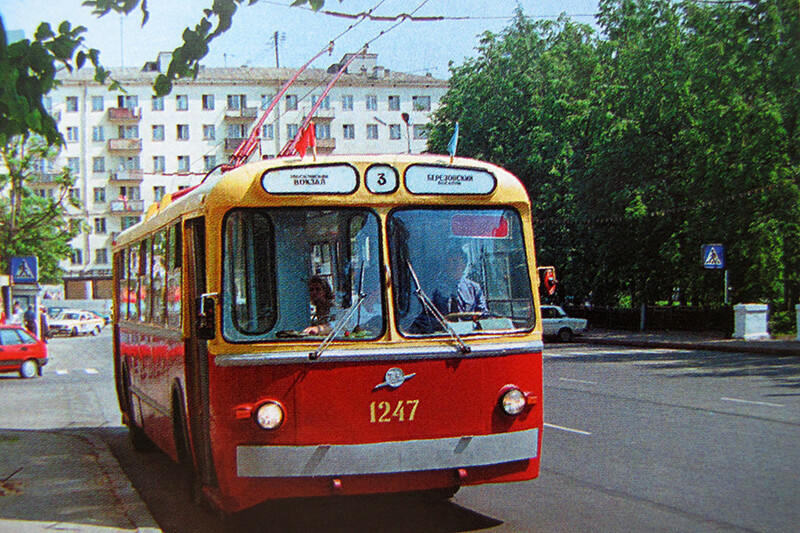 The MTB-82 was one of the first post-war trolleybuses in the Soviet Union. This model was used in the world’s first “trolleybus train,” where two connected trolleybuses operated as one. 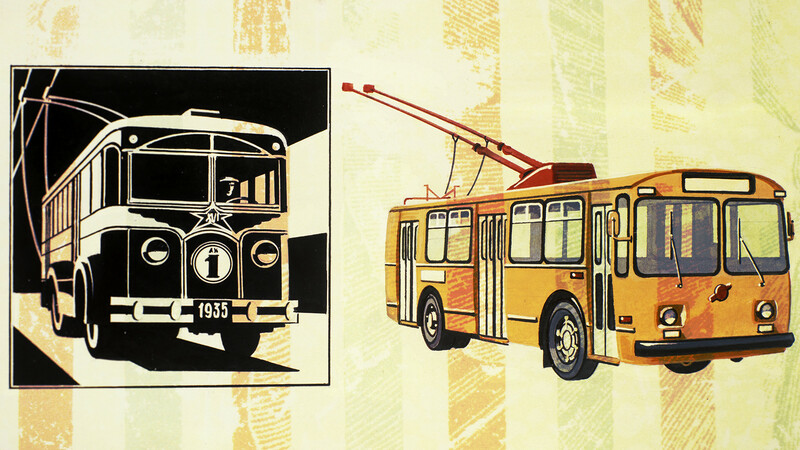 The SVARZ TS or TS-1, the first Soviet articulated trolleybus, appeared in 1959. 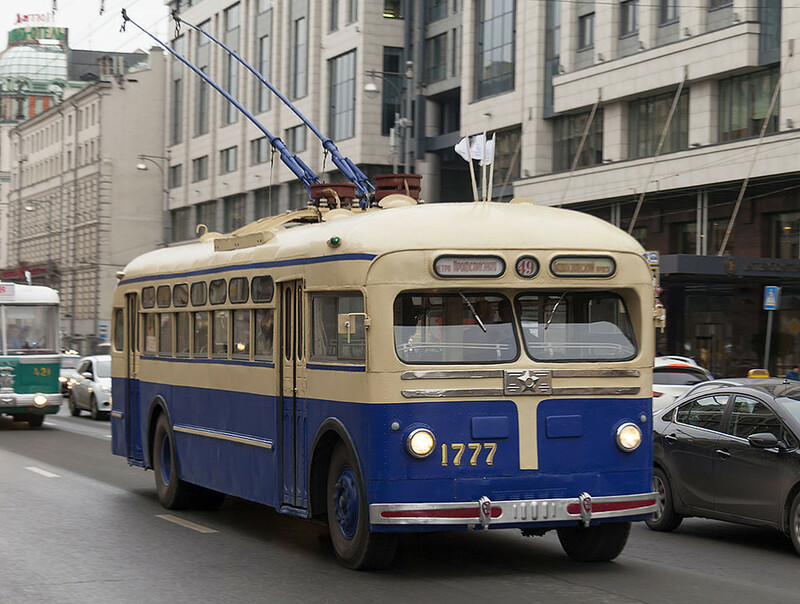 Despite this giant trolleybus being designed to accommodate 160 passengers, it often was used to transport double this number during Moscow rush hours. 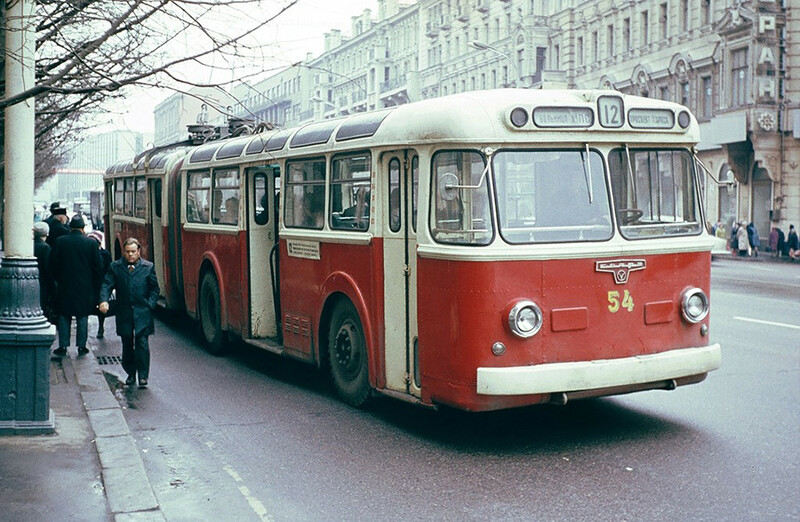 Over 16,000 ZiU-5 trolleybuses appeared on the streets of Soviet cities in the late 1950s. That made it the most mass-produced trolleybus of that time in the USSR. The ZiU-5 was loved among speed-lovers – some drivers accelerated it up to 100 km/h, although its declared speed was 68 km/h. 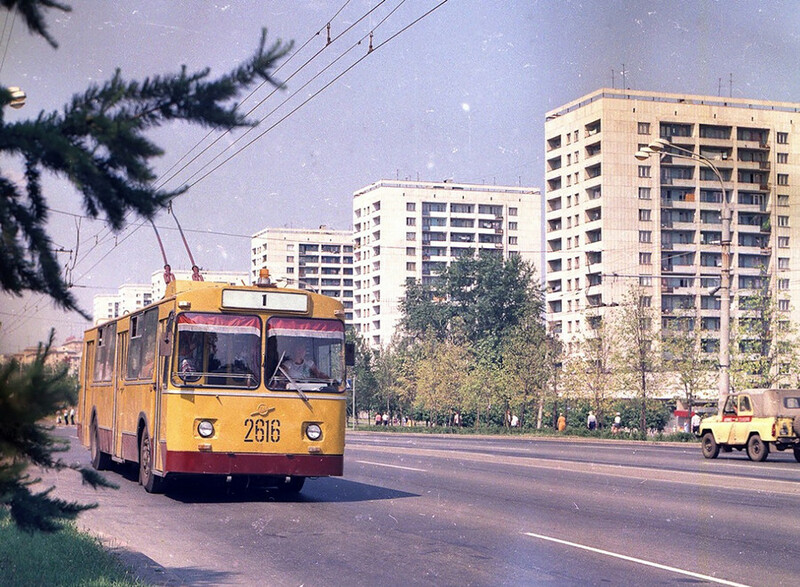 With over 42,000 trolleybuses built, the ZiU-9 was the most numerous trolleybus in the world. Production started in 1972 and ceased just several years ago, in 2015. 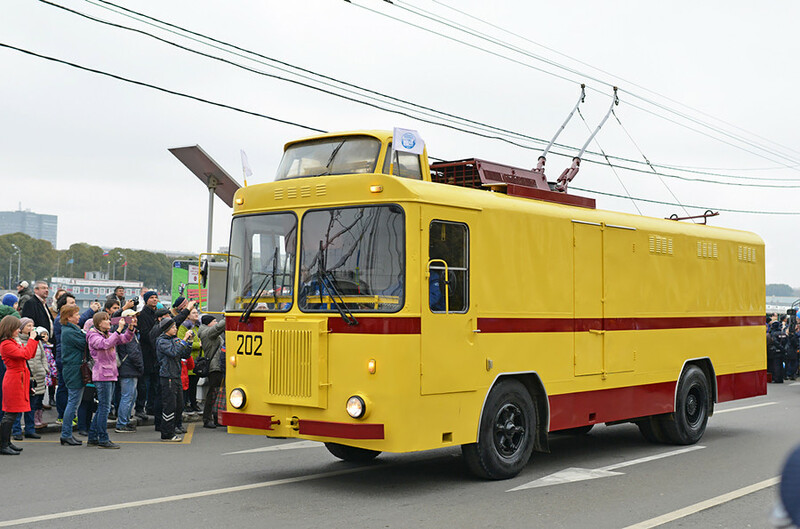 This trolley truck, designed by the Kiev Electric Transportation Factory, appeared in 1976. If needed, it could use an internal combustion engine as well. The popularity of these vehicles in the Soviet Union peaked in 1970-1980, but nowadays trolley trucks are barely used. 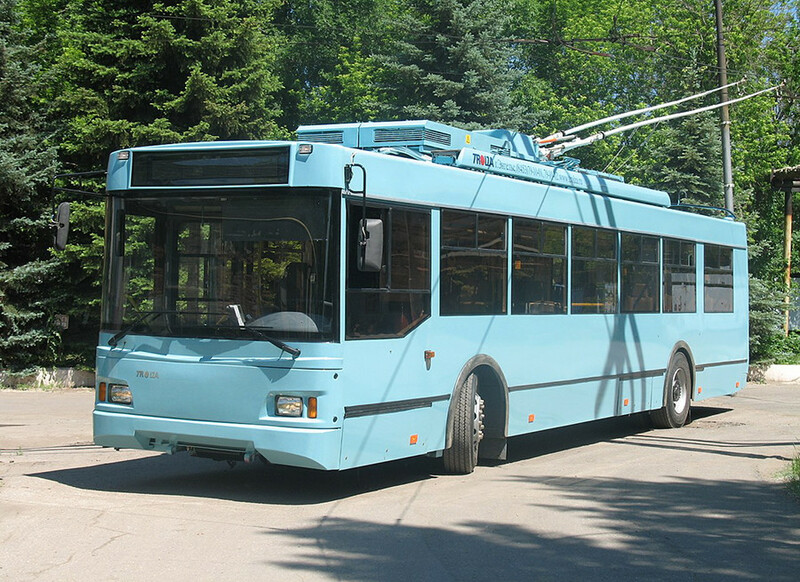 Designed in 1999, the trolleybus is still in production. It can operate in extreme climate conditions: from harsh cold to exhausting heat. 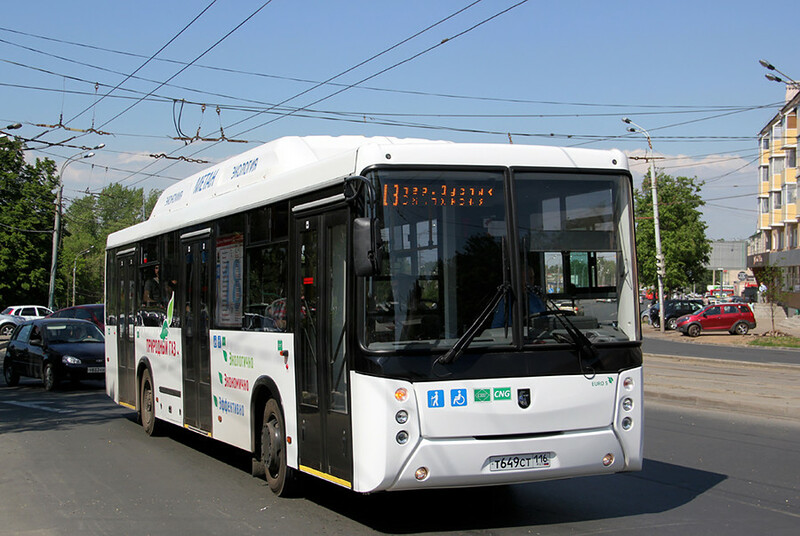 The main advantage of this new trolleybus is that it consumes 20% less electricity than most of its counterparts. Its designers plan to increase that figure to 40%. Here you can see what buses Russia can be proud of.